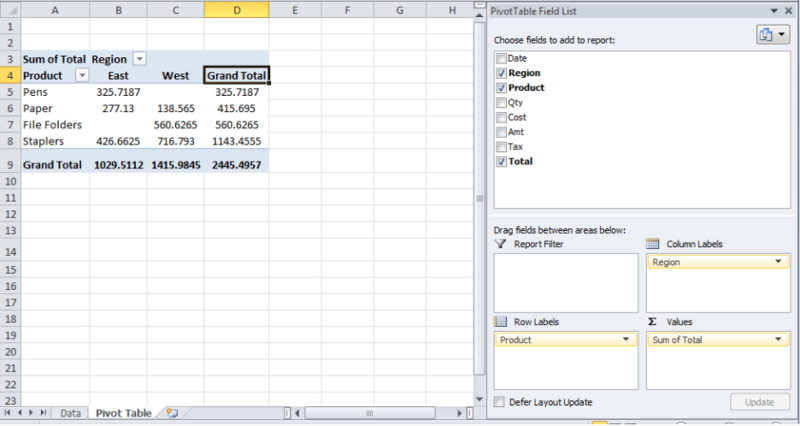 The Pivot Table is a very powerful tool in Excel to make calculations and provide data insight quickly. 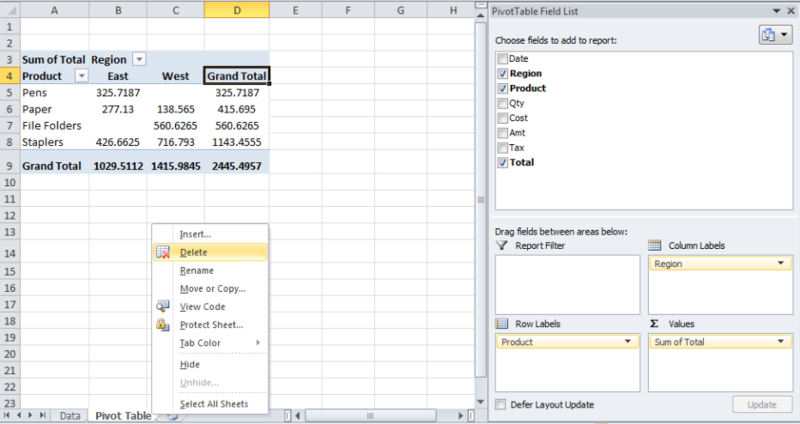 When we insert the Pivot Table in the worksheet, we might need to clear or delete Pivot Table. 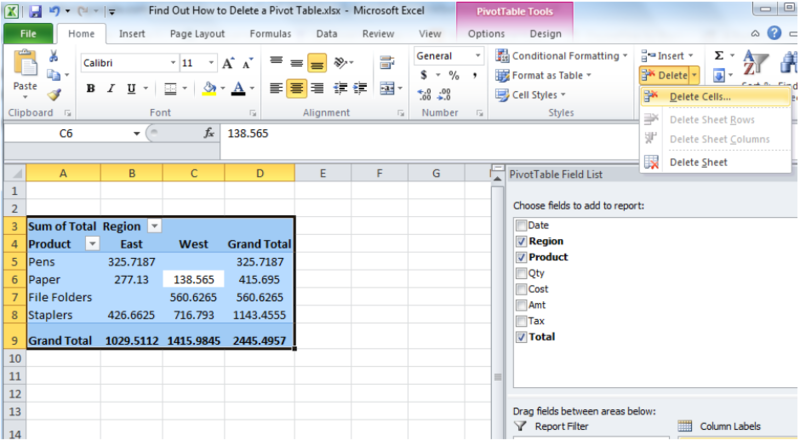 In this article, we will review multiple methods to clear or delete a pivot table inserted in a worksheet. 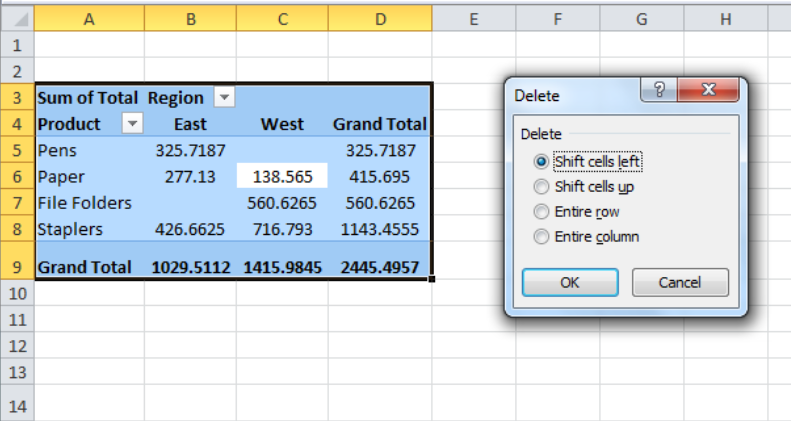 When we insert a Pivot Table in a separate worksheet in Excel, then we can delete Pivot Table by deleting the entire worksheet from Excel workbook. Simply mouse right click on the Pivot Table worksheet and select the Delete option. Click any anywhere in the PivotTable to show the PivotTable Tools on the ribbon. 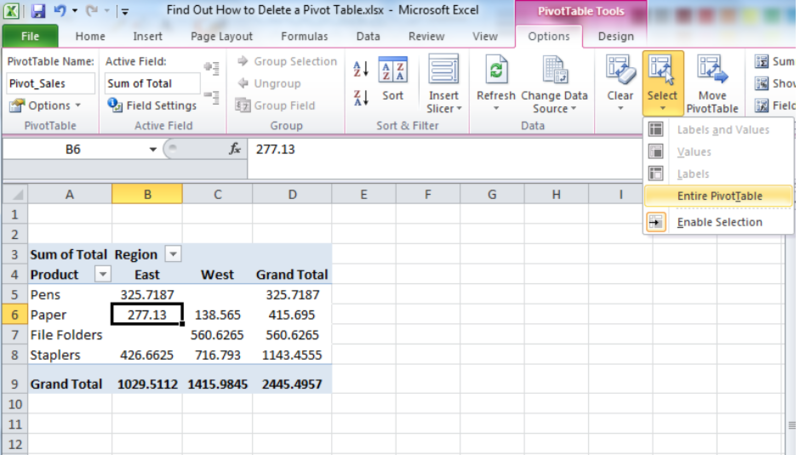 Then press the Delete button on the keyboard to remove the selected Pivot Table in a worksheet. Alternately, using keyboard shortcut Ctrl+A select all the cells of Pivot Table and press Delete button on the keyboard to delete Pivot Table cells.